Did you dentist fail to see that you had gum disease? Although very few of us truly enjoy going to the dentist, we must all go at some point. Frequent visits to the dentist keep our dental health in check and allow our dentist to spot any painful conditions which may be developing, such as gum disease. Gum disease is caused by a build-up of plaque on the teeth and, provided they carry out the necessary checks, your dentist will be able to spot the signs of gum disease in your regular check-up. When you visit your dentist, it is their duty to check the health of your gums and look for any signs of gum disease. If they fail in their duty and you later develop gum disease, this is a sign of dental negligence and as such you may be entitled to make a claim for dental negligence compensation. If you have developed gum disease following a recent visit to the dentist and you would like to discuss your legal options, we can help you. 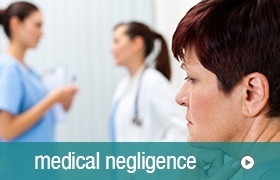 Give our experienced and knowledgeable dental negligence solicitors a call on 0800 122 3130 or contact us online here. You can also request free call back with one of our solicitors whenever is convenient for you.